Tanzania is a fascinating mix of old and new where the ghosts of bygone residents linger in the streets, floating somewhere between modernity and deep cultural roots. Buildings reflect tastes and traditions from around the world, and blend together in an eclectic and colourful contrast. From modern skyscrapers in Dar es Salaam to the abodes of old slave traders in Stone Town and traditional rural settlements that serve as gateways to the ever popular wildlife safari circuits, Tanzania has a bit of it all! Stone Town is a crumbling yet hauntingly beautiful town in Zanzibar and a UNESCO World Heritage site. It is located within the old section of Zanzibar City and is an excellent example of an East African Swahili coastal trading town. Its ancient and spectacular buildings reflect the disparate yet homogenised elements of culture that makes up the population of the city. Many of the buildings showcase a complex synthesis of Swahili, Indian, Arab and European influence, and were constructed from coralline ragstone and mangrove timber that was then plastered and lime-washed. Simple ground floor Swahili houses rub shoulders with two storey edifices that display open courtyards reached through a narrow corridor, and distinguished by elaborately carved double ‘Zanzibar’ doors. The major buildings in the town date from the 18th and 19th centuries and include monuments such as the Old Fort, built on the site of an earlier Portuguese church; the House of Wonders, a large ceremonial palace; and the Christ Church Anglican Cathedral that commemorates the work of David Livingston in abolishing the slave trade. Mbeya is a thriving town in south west Tanzania that lies at the foothills of the towering Loleza Peak, between the Mbeya and Poroto mountain ranges. It owes its existence to the discovery of gold in the area and today is a a major trade and transit junction between Tanzania, Zambia and Malawi. The mountainous area surrounding the town is covered with dense and verdant forests profuse with bird life, while the Kitulo Plateau to the south east of the city is a popular walking and hiking destination owing to the wonderful wildflowers that blanket the landscape. The town is also located amidst a major coffee, banana and tea farming region and home to the scenic Ngozi Crater Lake. Mbeya’s cool climate and scenic hillside surrounds make it a favourite spot for nature lovers. Scenic locations to visit around the town include the Kitulo National Park, Mbozi Meteorite, Ngozi Crater Lake and the Daraja la Mungu bridge. 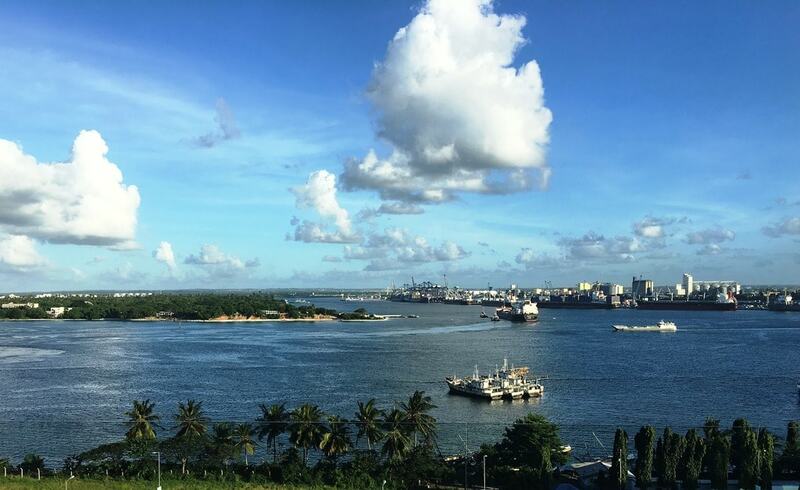 Dar es Salaam serves as the commercial port of Tanzania and is one of the fastest growing countries in Africa. It also houses the largest population in East Africa with approximately 2.5 million people walking its streets every day. The city is often a visitor’s first impression of Tanzania as it is the location of the main international airport. It exudes a unique urban culture that blends African, Indian and Arab influences, and has a sprawling industrial port and a lively waterfront. Although not the prettiest town in the country, it is nevertheless worth exploring due to its unique and contrasting atmosphere. Attractions in the city include the fringe beaches of Kunduchi and Coco, the Botanical Gardens and the National Museum. Moshi stands serenely at the base of Mount Kilimanjaro and gives one a good taste of what can be enjoyed in the northern regions of Tanzania. It is a densely populated city and many of those that travel there are either on their way to climb Mount Kili or are recovering from doing so! The city has a relaxed, laid-back vibe and a more prosperous feel than some other cities in the country, due to its being the centre of one of Tanzania’s major coffee-growing regions. It caters well to tourists and there is plenty to keep one busy in and around the town such as hiking, camping, cultural tours and horseback riding. Moshi is also generally considered the cleanest city in Tanzania. While Mount Kilimanjaro is the main attraction in this neck of the woods, there is plenty more to see and do including trips to the Materumi waterfalls, pretty Lake Chale and the Kikuletwa hot springs. There are also two golf courses to enjoy. Kilindoni is a town on Mafia Island, the most southern island off the coast of Tanzania, and the largest of a small archipelago of idyllic islands and atolls in the Indian Ocean. It is also the birthplace of the first president of Tanzania, Julius Nyerere and is best known for its gorgeous and peaceful beach. Here visitors can swim in the ocean, snorkel the coral reefs, and enjoy the simple things in life such as a sundowner picnic on the beach. The island is off the beaten track so is always guaranteed to be quiet and serene, where nature and marine life can be enjoyed at its glorious best. Kilindoni consists of little more than an airstrip and port, as sea or air are the only means of getting to the island, however the trip is worth it for the stunning views. Around the island one can explore Ras Kisimani, an old town that dates back to the dating to the 12th century that has been drowned by rising sea levels; Bwejuu island, a great snorkeling spot; and the lighthouse at Ras Mkumbi. Arusha is most often thought of as the gateway to Tanzania’s highly popular northern safari circuit and is a hive of activity all year around. It is mostly lush and green with a cosmopolitan vibe, and boasts pretty views of nearby Mount Meru as well as plenty of places to eat, drink and stay. It’s a great spot to pick up last minute souvenirs or mementos of Tanzania, but be wary of who you buy these from. While some touts sell genuine goods, other hawkers are in it for a quick buck. Attractions nearby by include Lake Manyara, Arusha National Park, Arusha Cultural Heritage Centre and Mount Meru.